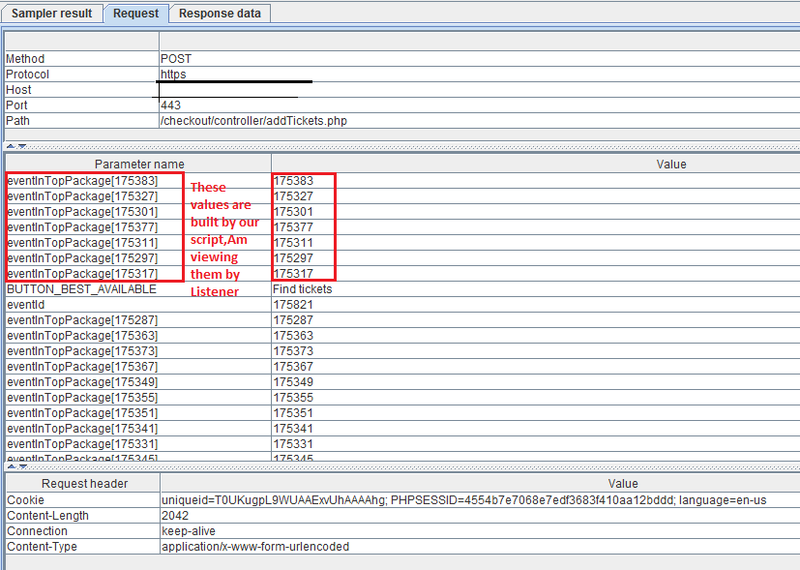 Most often we end up dealing with how to dynamically build our request. We can achieve this by writing a simple script within JMeter. though we are reading from external files. Let's get started to handle such situation. 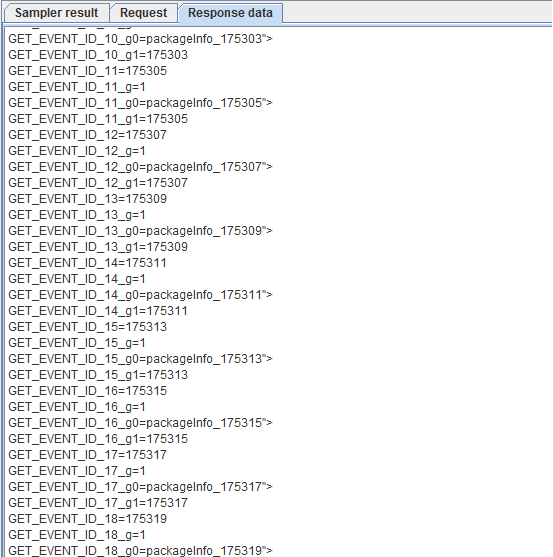 2.a We have to retrieve the item/product id's from this request so we need to add a xpath extractor as a post processor event. 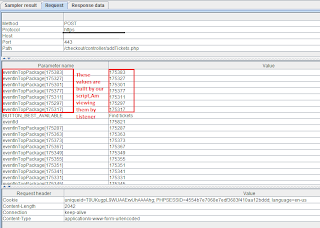 Add a Debug sampler so that you can verify if the xpath extractor does retrieve the value. To view contents of sampler you will have to add Listener. 3.aNow that we have retrieved id's from our previous request we need those to send as a request, Hence we need to Pre Process before a request is made. 3.e Give a meaningful name for the PreProcessor just like i have given. 3.f Now add the script where you want to build your request. Let's understand what we are achieving in the above script. 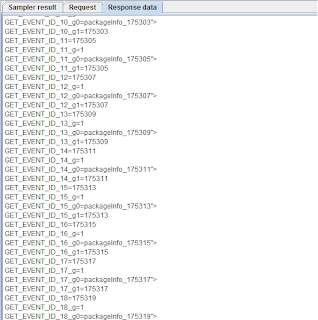 3.g Get count of the matched id's that were retrived from Xpath Extractor.